Just as you have a vision for your child’s future, you should have a vision for your child’s vision. Did you know that 98% of parents take their child to see a pediatrician for an annual checkup regardless of whether or not they notice any worrisome symptoms, but nearly a quarter of parents wait for some symptom to present itself before taking their child to see the eye doctor? In fact, nearly 50% of parents with children under the age of 6 have never taken their child to an eye doctor. Studies have shown that 1 in 4 children have some vision problem that could interfere with a child’s learning and behavior. As children confront the countless learning and socializing experiences and opportunities the world throws at them every day, they count on their vision more than anything to guide them as they take in everything they see. 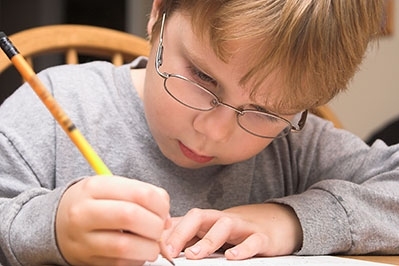 Nearly 60% of children who struggle with learning at some point in their early lives are later identified as having previously undetected vision problems; problems you cannot expect to catch early if you’re not actively looking for them. Your child starts seeing the world and taking in light, motion, and large objects from the moment they are born. That first 6 months of eye development introduces them to colors and shapes, the ability to distinguish between big and small, light and dark, and focusing in on smaller objects and details. Just because a child can’t yet articulate what they’re seeing, doesn’t mean they aren’t struggling to see and understand everything they encounter. The question is, are they able to see everything as clearly as they should, move and focus their eyes, and coordinate their vision with the rest of their body’s movements, even before the age of 1? Your eye doctor will be able to identify early vision and eye issues in babies as young as 1 to 3 years old. Some eye concerns, like amblyopia or “lazy eye,” a condition where one eye is weaker than the other, can be treated in babies and young children, before becoming irreversible once a child is older. Common concerns like nearsightedness, farsightedness, and astigmatisms can also be identified and addressed at a very young age while your child is rapidly taking in everything they see in the world, and learning from it. Parents shouldn’t wait for their child to say they aren’t seeing well before taking them to an eye doctor; children don’t know what “normal” vision is, so they have nothing to compare their own experience to. It’s recommended that parents bring their children to an eye doctor for a comprehensive pediatric eye exam as early as three years old, if not earlier. Your eye doctor will run through a lot of the same tests with your child that they would with you, assessing their eye health and visual acuity at its most critical point of development. Parents should consider their children’s eye health the same way they would consider the health of the rest of their developing bodies. If you have a child under the age of 6, and you haven’t yet taken them for their first visit to the eye doctor, make that appointment today. If you’re an expecting parent, and you’re busy painting a nursery, researching child care, and setting up regular pediatric appointments, take action and pencil in a pediatric eye exam in their first year as well – there is nothing more comforting than knowing your child’s vision is as healthy as their heartbeat. Berlin Optical Expressions is your Pediatric Eye Care destination!